How do you feel about Party roleplaying-games, as opposed to your-character-only? What I mean about this is games like Wizardry 8 and Storm of Zehir. I hope people don't mind my heavy activity, though the board seems kind of quiet at the moment and I'm getting so excited discussing and reading about RPG design. But I have very mixed opinions about party-based design. The problem to me is an issue of weaknesses. A lot of what makes role-playing so interesting to me is having to navigate a world with glaring weaknesses to my character. One character ensures that I'll generally not be good at everything, and that tends to really define the experience, make it especially unique, and raises replayability through the roof. With a party you can create a balanced one that plugs all weaknesses. Instead of living with the fact that you aren't good at lockpicking, you can just have a thief character in your party who can always step up and pick all the locks, disarm all the traps, etc. Instead of living with the fact that your character is a dumb brute, you can always have a genius in your party step up and do the talking. So I don't like controlling something (party or character) that has no glaring weaknesses that make one game session so different from the next, but party-based systems suffer tend to suffer this issue a lot more than solo games. A compromise is to have the concept of "leader-only" skills. Mount and Blade used this where things like leadership and persuasion only applied to the leader of the party, and had no effect for the companions in your party. That sorta worked but I could still easily create a balanced party with no weaknesses in that one by making my leader focus on leader-only skills and have my companions focus on skills that benefit the entire party. I wish they had more leader-only skills, like maybe even make engineering and first aid a leader-only skill and so forth, and then we would have to make tougher choices building our character and not be able to be good at everything when combined with the rest of the party. I just don't like being good at everything or even having the option, because being good at everything means the experience will be less tailored and unique and more generic. The smaller the maximum number of members allowed in the party, the more this issue tends to be mitigated as well. It's harder to be good at everything with 3 members in your party than 12. Another way to mitigate this issue is not let you control the way your party members level up. That at least makes it harder to be good at everything, especially if you're limited to a very small party. That kind of experience wouldn't have been possible if the party member with the highest charisma/conversation skills stepped up to do all the talking. 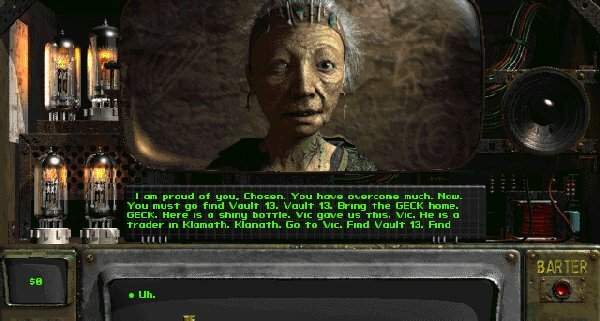 Even for very rich party-based games like Baldur's Gate, the experience was far more generic and replayability dropped to a minimum -- like your party-based experience and way of doing things in that one was probably almost identical to mine. Some of this is also a limitation of CRPGs as opposed to something with a human dungeon master. A human DM can always come up with interesting experiences catered to your exact party, your exact combination of members, the exact personalities of each party member, their habits, history, and what they've uniquely experienced so far -- like account for a gazillion variables worth of minutia in how they respond. It's generally not practical to anticipate all the gazillion possibilities and prepare content for all of them in digital format absent a super-AI that can actually perform on par with a human DM in generating content on the fly. So one of the ways to make the digital experience particularly interesting and unique and tailored to you absent a human DM is to play a very defined character with glaring weaknesses -- that's what shapes the role-playing experience a lot absent the human DM, because the designers might not be able to account for everything your character has done and the minutia of the unique personality you created for him, but it can account for the weaknesses and strengths in your skillsets to tailor and define the experience and make it fit your character as much as it can.